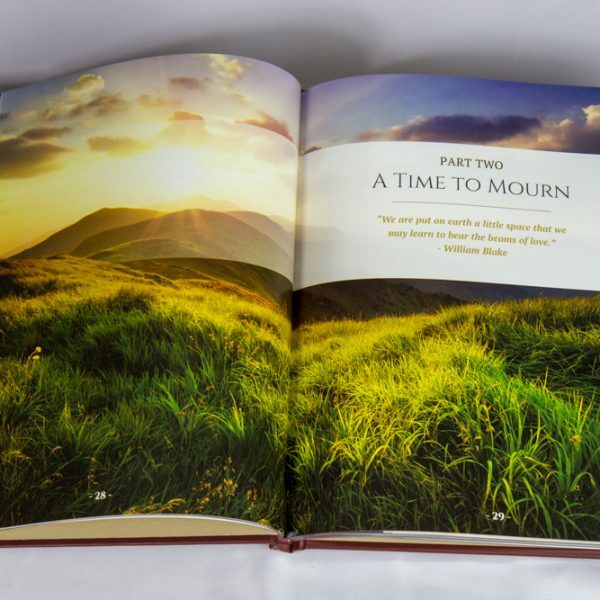 Request a sample of this volume! 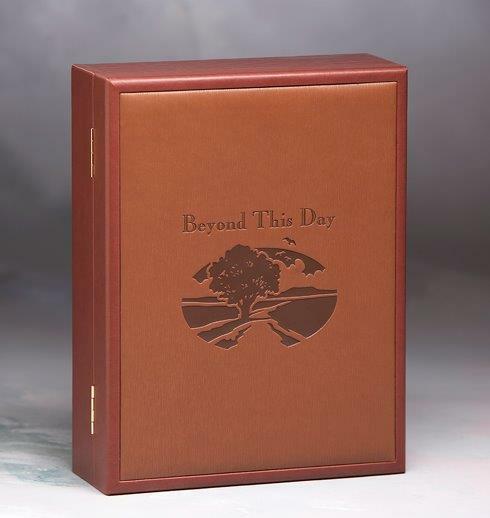 The Signature case is the same design and size as the top tier Legacy option, with the same felt-lined interior, keepsake compartment, insert and card featuring your organizations personalized inscription, and protective felt lining on the back. Instead of the Legacy’s hardwood, the Signature has a rich leatherette cover on the top, bottom, and sides, and is available at an alternative price point. 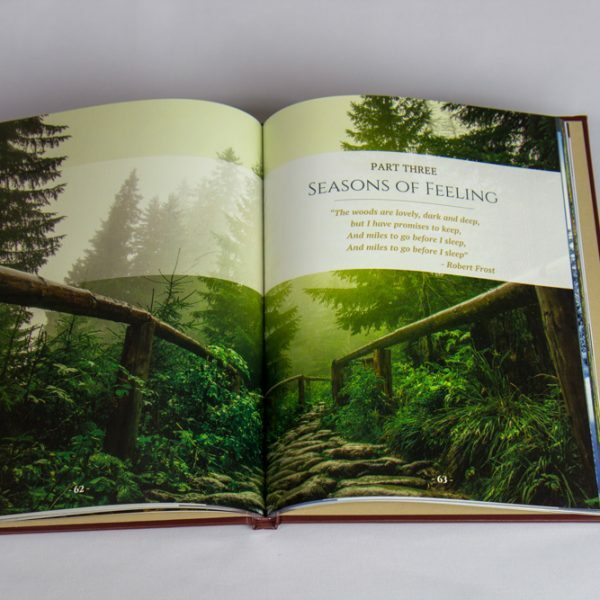 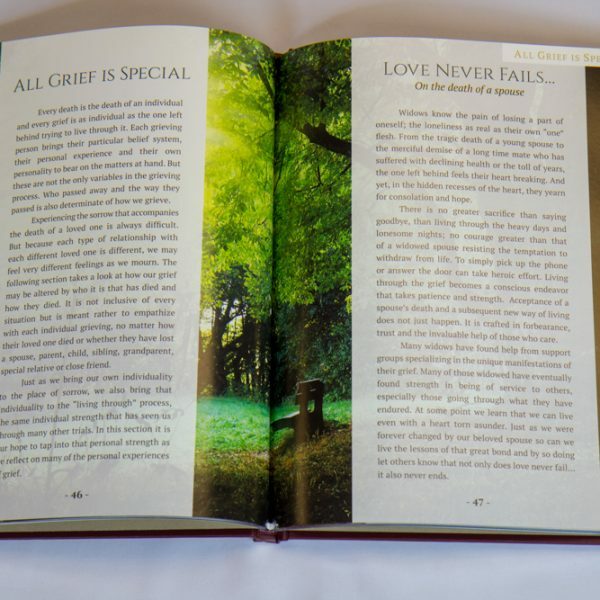 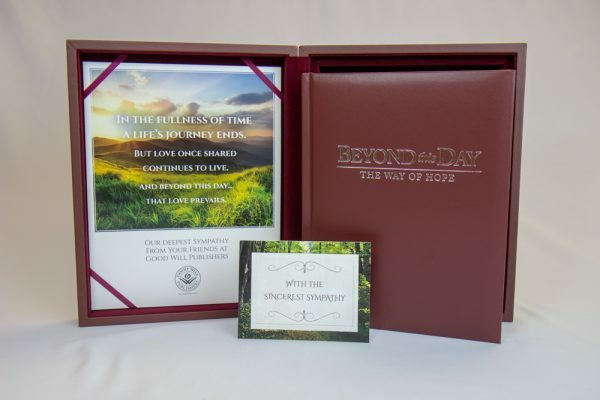 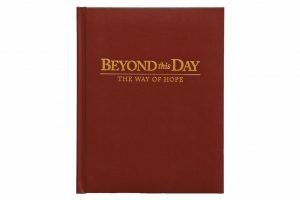 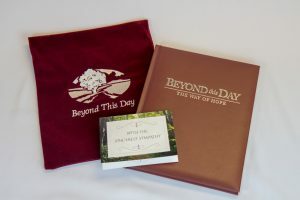 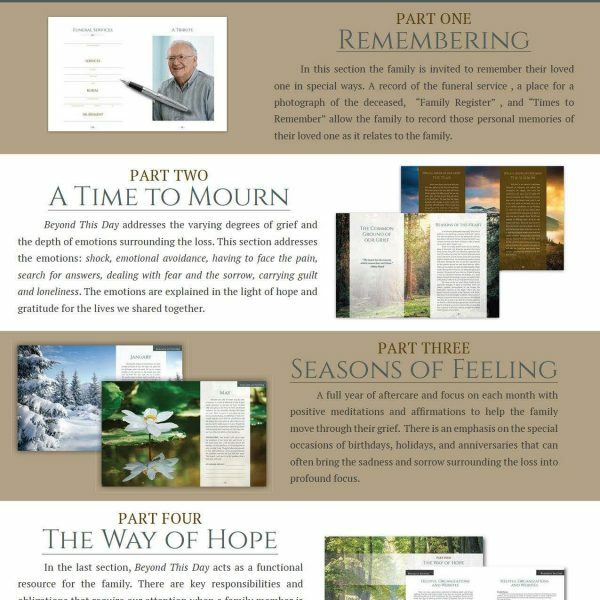 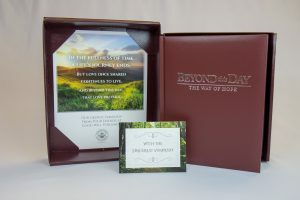 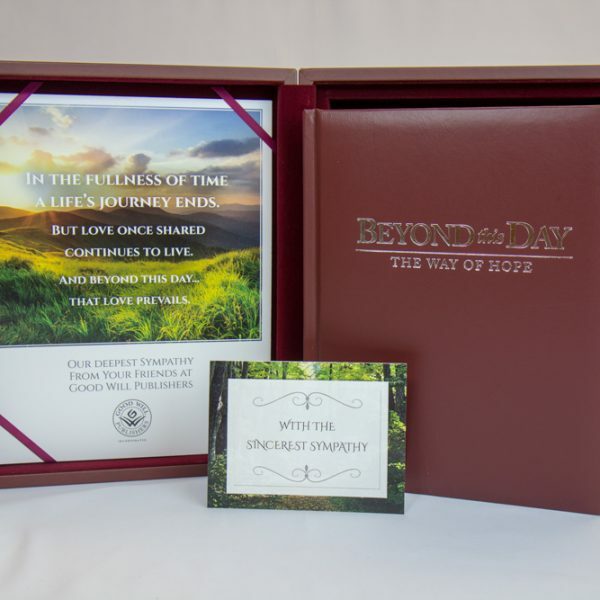 The Signature case includes the Beyond This Day memorial book.